INDUSTRY.co.id - Karawang, Minister of Industry Airlangga Hartarto is scheduled to inaugurate the PT ZTT Cable Indonesia fiber optic cable factory in the Suryacipta Industrial Zone of Karawang, West Java, Tuesday (09/25/2018). PT ZTT Cable Indonesia is a communication equipment manufacturing company that focuses on its main products, namely, fiber optics, optical cables, electrical fittings and others. PT ZTT Cable Indonesia was established in February 2017 registered and located in Karawang, West Java. Registered company with a capital of 40 million USD, with 36,300 meters of land building and employs nearly 400 workers. PT ZTT Cable Indonesia's investment is divided into two stages and it is estimated that annual sales will reach 150 million USD after the completion of the project at the end of 2018. PT ZTT Cable Indonesia is part of Jiangsu Zhongtian Technology which was established in Jiangsu, China in 1978 and is currently the 500 largest company in China. In addition to Indonesia, Jiangshu Zhongtian Technology has established factories in India, Uzbekistan, Morocco, and China. As is known, the development of the domestic fiber optic cable industry still has bright prospects. This is in line with the government's efforts to build telecommunications infrastructure and increase the use of domestic products. In the digital era like today, communication systems demand efficiency in sending information from sources to recipients. This encourages the development of new cable technology to improve efficiency in the education system. "For that reason, fiber optic cable has become the most widely used product in modern communication technology today because it is capable of transmitting high frequency light. 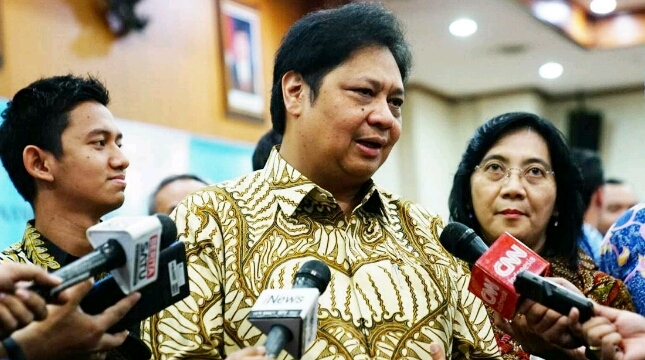 Moreover, the government has launched the Palapa Ring project development," said Minister of Industry. In addition, Airlangga added, fiber optic cable production could also be the backbone in supporting the implementation of the fourth industrial revolution system or Industry 4.0. "Especially now the internet era of everything," he said. According to him, a number of industries are transforming to utilize digital technology and the internet in their production processes to be integrated. "These opportunities need to be utilized by the domestic fiber optic cable industry to meet current market needs," said the Minister of Industry.